Tune in to THE WEIRD SHOW‘s Live VodCast via the San Marcus based SMTX NetTV station at www.SMTX.tv this Wednesday night from 9-10pm Central Standard Time. Host Russ Dowden‘s guest is SMiles Lewis. 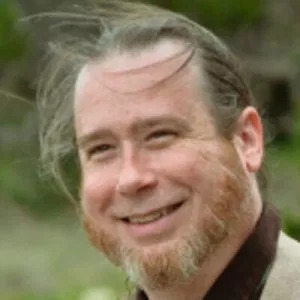 Stephen Miles Lewis (“Gonzo Alt-Media Proprietor”) is the manager of the Elfis–Anomaly Network , PsiOp-Radio co-host, and Founder and President of the non-profit community lending library The Anomaly Archives. He’s also served as past leader of a local Austin UFO Experiencer Support Group and the Austin Mufon chapter. The Anomaly Radio Network will be simulcasting the audio of The Weird Show live Wednesday night. You may tune in to the audio stream by going to www.AnomalyRadio.com at 7pm CST. Anomaly Radio Founder SMiles Lewis on THE WEIRD SHOW with Russell Dowden Wednesday at 9pm CST | ANOMALY RADIO. Back in the year 2000 I accepted responsibility for the organizing and hosting of the 38th annual National UFO Conference – NUFOC for short. Little did I realize that I was about to be “NUFOC’d!” This conference was going to be a truly anomalous event featuring 3 days and 3 nights of lectures, movies and music at the (now famous and soon to be relocated) original downtown Alamo Drafthouse Cinema. This was not going to be your ordinary New Age / ETH promoting UFO conference. It was going to feature many alternative theories and approaches to the study of UFOs and related phenomena. We were also going to honor the legendary self-proclaimed leader of the Illuminati himself, Robert Anton Wilson. I was flying-in over 23 speakers from across the country and even some from overseas – however, the whole event had to be canceled due to the tragic events of September 11th.